Shooting in the Rain with Stacie Victoria! Ow ow! What a hottie! 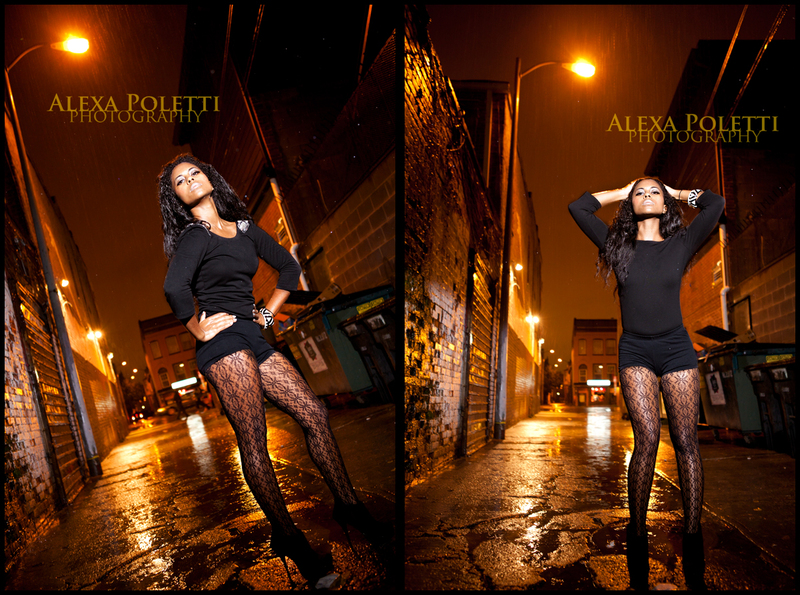 Stacie Victoria came out to U St. last night to shoot some awesome fashion shots in the rain with me. I absolutely loved having her out and she was such a good sport about getting soaked in the rain. I loveeee how all of her photos turned out! Another new addition is Ms. Caroline Lacey, who joined us with this photoshoot as my new little grasshopper. Yay! I love having people to teach and share all the wonderful knowledge that was shared with me. I think she is the coolest person! I am so excited! Hopefully you’ll be seeing a lot more of her around on my blog in the upcoming months. So! 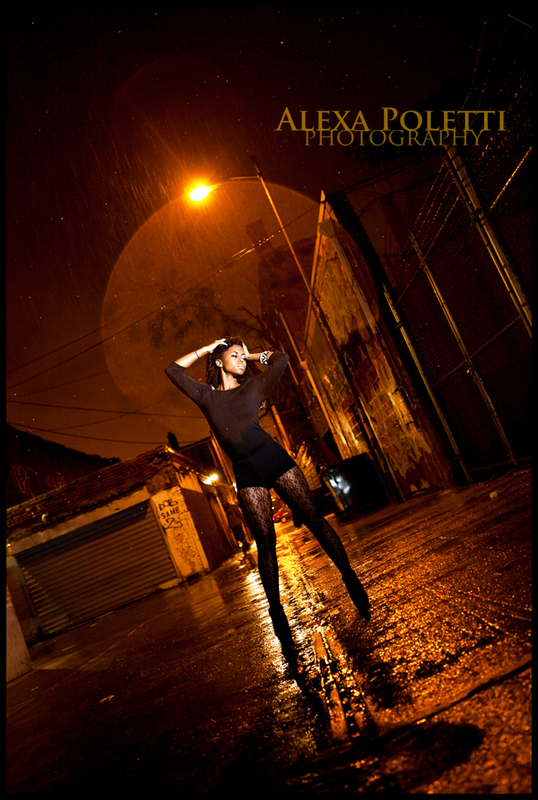 Rain shoot! I came up with this idea with all the awful weather we have been having lately in combination with my desire to revamp my portfolio into more of a fashion portfolio with cool lighting and lovely models. 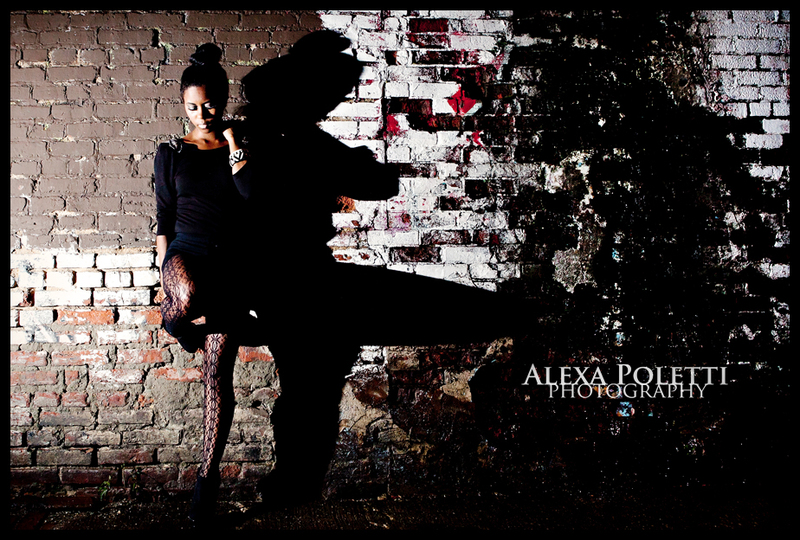 Those ideas along with a cool location led us to Stacie Victoria and the rain shoot. Of course, after all this rain, we got out there and it wasn’t raining. Awesome. So while we waited for the rain, we took a few other photos in different areas of our alley that we moved into for the evening. It was Stacie Victoria’s idea to jump up on this gate. Love love love! Ahhh…. totally love these. Thanks again to Stacie Victoria and Caroline Lacey! EDIT: I just can’t get enough of these photos. Here is an additional shot to add to this blog post! Enjoy!